Every teacher knows that there is nothing worse than a bored class. When the students are not actively engaged, the education process loses on all fronts – the knowledge and skills are not absorbed, and the discipline in the classroom may go wayward. It is especially prominent with young children who just cannot keep their attention focused for long periods of time. This is why teachers and education experts are always looking for ways to keep the class engaged. Even before the advance of technology, such methods as role plays, contests, games with awards were widely adopted to animate and diversify the education processes and make students active participants of the teaching program. The rapid development of technology opened new bright opportunities for teachers to make students more involved in the process. Online learning tools, educational applications, various gamification techniques – many schools are already using these resources to engage students. When we talk of engagement, we are bound to mention virtual reality (VR), as today there is nothing more engaging than this technology. Professionally created virtual reality apps are sure to make even adults aah and ooh, let alone children and teenagers. Education has always heavily relied on the visual component – images, models, diagrams, live demonstrations are a part of almost every lesson. 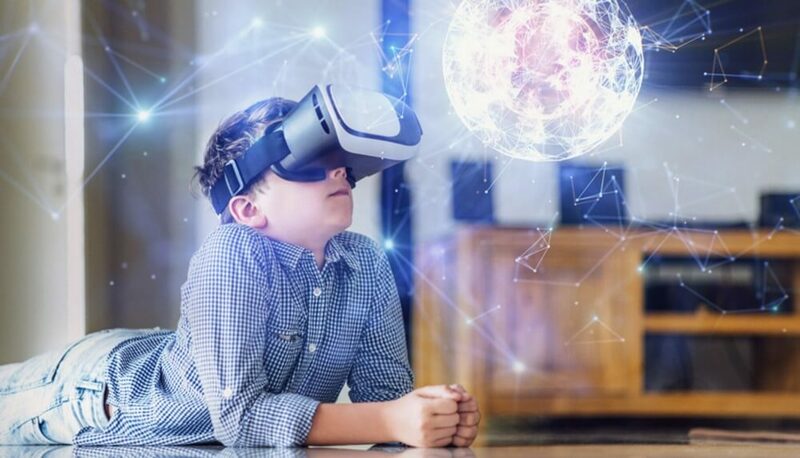 By transporting the student into a virtual space, VR applications achieve the highest degree of visual sensation helping to create long-term knowledge and skills. What do educators teach with VR? In fact, virtual reality can be applied at all levels of education – from primary schools to universities. Immersive experiences are equally fascinating for both children and university students. Of course, the key is setting up the virtual reality content so that it is engaging for the target audience. Geography – virtual visits to various natural environments and habitats. History – a recreation of historical sites in virtual reality. Science – virtual travels to space, studying the human body and other special subjects. Technology – virtual experience of different machines and engineering structures. Art and culture – attendance of various cultural events in virtual reality. Moreover, students can learn to paint, sculpt or do pottery in virtual reality. There is no need to equip special classrooms – everything you need will be available in virtual reality. Architecture and design – creation of architecture and design projects in virtual reality, visits to famous architecture sites. The opportunities provided by virtual reality are truly enormous. 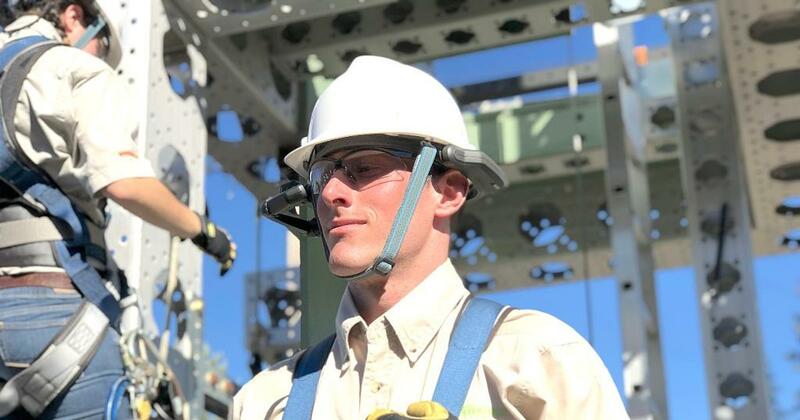 By putting on the VR headsets, students can find themselves in deserts or rainforests, see hurricanes and earthquakes happening right in front of their eyes, understand how a car engine works by watching it from inside. Interactive VR applications allow not only passive watching but also active participation in the practical part of the lesson. From pottery to surgery – virtual reality can help students get that literal “hands-on” experience. The VR hardware is often the showstopper in many cases due to its rather steep cost. Indeed, creating a truly engaging and immersive experience making the user forget that the world around them is not real requires hi-tech hardware that sets quite a high entry barrier. However, for simple non-interactive virtual reality content, such as virtual travels, there are more cost-effective solutions that bring VR education to a more affordable level. Google Cardboard. It is one of the simplest virtual reality viewers in a rather affordable price range. The device is literally made of cardboard, which explains the reasonable price ($7-15). Google Cardboard is intended to view mobile VR applications – just insert your smartphone into the device and watch the virtual reality content. Of course, the interaction will be limited to turning around, as Google Cardboard is not equipped with sensors or controllers allowing creating more in-depth immersions and interactions. Google Cardboard is a perfect choice for educational programs, especially for primary schools. The low price allows equipping the whole classroom with the VR hardware and not worrying too much if clumsy little hands drop the device on the floor. Of course, the primary component of this VR solution is not the device itself but the mobile application that will be watched through it. This leads to the requirements of the smartphone that should support the graphics and effects used in the virtual reality app. Many teachers have noted the Google Expeditions kit – a set of VR journeys specially created to be used with Google Cardboard devices. 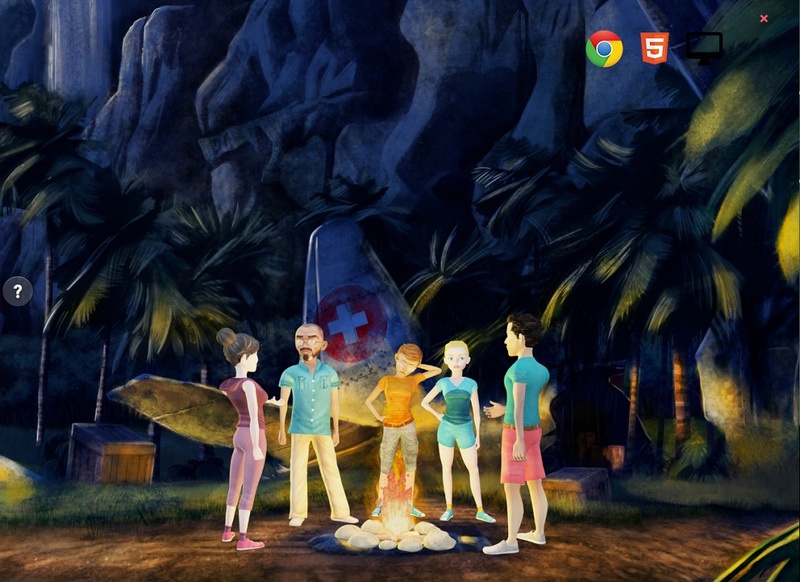 Deep space, coral reefs, exciting places of the Earth, natural disasters – with virtual reality kids can be easily transported to various places on the planet and beyond. The VR kit includes a downloadable application with about 800 virtual tours, so you can imagine the amount of three-dimensional interactive fun you can have in the classroom. ClassVR. These VR devices are specially designed for classroom use. The device is entirely standalone and requires no smartphone to view the virtual reality content. 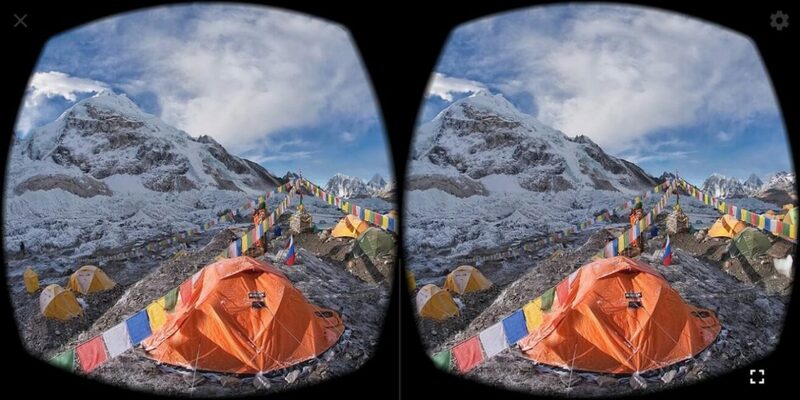 ClassVR viewers ensure high-quality video and audio output and can create fully immersive experiences. However, this device is interactive only to the degree of movements of the head, as no external sensors are provided. ClassVR is focused on the use in classrooms that is reflected in its pricing policy. It comes in sets of eight pieces, each set offered at the listed price of $2,999. ClassVR is in a higher price range than Google Cardboard. However, its performance and convenience of use justify the difference. In addition to the device, ClassVR comes with about 500 virtual reality resources on various topics. Oculus Rift. This VR headset belongs to a hi-end range, for both features and price. Available at $399, it comes equipped with joystick controllers for fully interactive experiences. Oculus Rift requires no smartphone to run virtual reality content and can process more sophisticated desktop-based VR apps. Currently, there are quite a lot of training and educational materials specifically designed for use with Oculus Rift VR headsets. You can tour the Stonehenge or zoom through space on your way to Mercury, get down to the bottom of the ocean or wander around the Colosseum in its glory days. The incredibly realistic, three-dimensional, interactive worlds existing within the Oculus Rift will be engaging for primary school and university students alike. Increased interest towards the subject. Between reading a book and watching a movie on the same subject, students tend to choose the movie. Watching boosts the interest in learning, and when the new knowledge is presented in the form of a story with the student in the very center of it, the effect is multiplied. Better understanding of the subject due to the stimulation of multiple senses. VR raises the comprehension of information to a new level. For example, “To be classified as a hurricane, a tropical cyclone must have maximum sustained winds of at least 74 mph (33 m/s; 64kn; 119 km/h)”. How fast is 33 m/s? Is it really that destructive? When you read the definitions, facts, figures, and statistics from a book or a website, even if there are images and videos available, you are still somewhat distant from the subject. If, however, you are standing in the eye of the hurricane watching the wall of wind and thunder lifting trees and cars around you, you get a much better idea. Sensation of fun rather than work. Let’s admit it – we do not like to work. Yes, we do it as working is required of us, but we always tend to choose work that chimes with our hobbies or interests. This is especially pronounced with kids, and this is the reason why gamification is so popular in education. Bringing virtual reality into the classroom turns learning to fun, making students look forward to VR lessons. Improved discipline in the classroom. All primary school teachers know that when the class is bored, there is always trouble in the making. 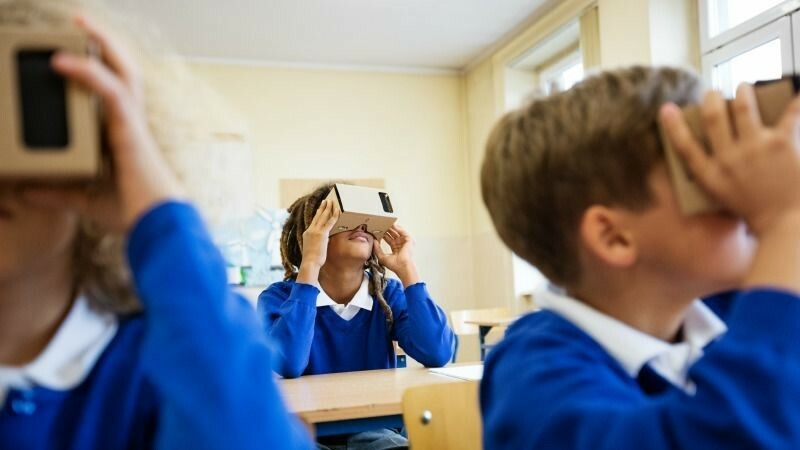 An unusual and very engaging VR experience will keep the kids focused on the subject and make it easier for the teacher to maintain discipline. Besides, by immersing the students in the virtual reality space, the teacher reduces or completely eliminates distractions that can make attention wander during ordinary lessons. Remote learning opportunities. With virtual reality, students do not need to be physically present for a practical lesson. They can practice right from their homes with virtual instructors helping them along the way. 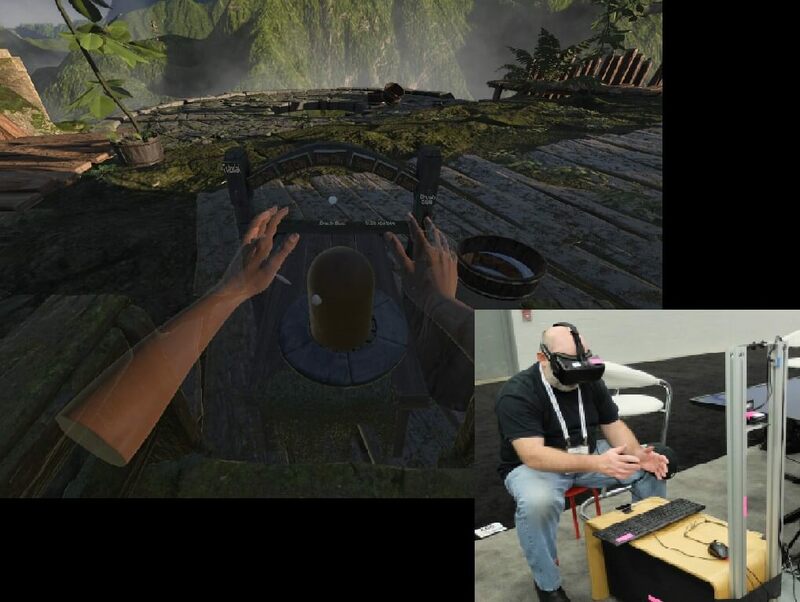 Even collaborative skills can be practiced remotely with multiplayer VR apps. Moreover, technologically skilled students can have better social integration opportunities in virtual groups. What should you beware of when planning VR lessons? Costs. As we mentioned already, the VR hardware requirements can create a steep entry barrier for VR adoption in education. However, schools can opt for the devices in the lower price range to make VR education more affordable. Functionality issues. Like any technology, virtual reality can suffer certain problems, both on the soft- and hardware side. Of course, any functional trouble can break the scenario of the lesson making the teachers look for plan B. At the same time, the quality of the virtual reality app is very important, as poorly functioning VR software can make users dizzy or nauseated. Addiction. Virtual reality can create an obsessive sensation that is especially alarming for young children and teenagers. The feeling of total control, the transportation to a new wonderful world, the transformation into a new being can become addictive making the child want to spend more and more time in virtual reality. By no means, we are going to discourage you from applying virtual reality in the classroom. On the contrary, its obvious benefits make it a great educational solution. At the same time, as any methodology aimed at young people, VR-based curricula should be carefully planned, and the lessons should be supervised by professional educators. Building an educational plan with a well-balanced schedule of ordinary lessons, outdoor activities, practical training, and technology-loaded classes will produce an effective learning environment that both students and teachers will enjoy. See also: What Does the Price for a Virtual Reality App Depend On? Technology is disrupting many industries with its new opportunities. Education is an industry that is especially open to innovations, as we are always searching for ways to make learning less boring and more effective. Virtual reality can take education to a totally new level by creating unparalleled learning opportunities. Being relatively new, it is still fascinating for students of all ages. 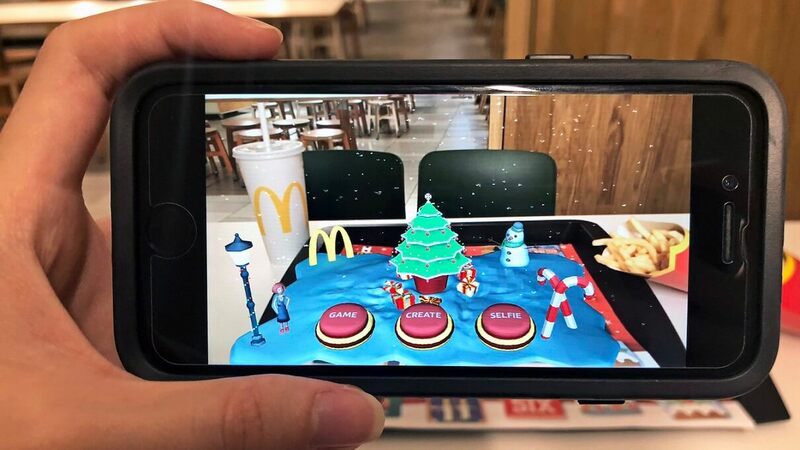 Virtual experiences combined with facts and figures from a textbook, the teacher’s comments and a practical exercise, either real or virtual, can be much more effective than the standard practices of reading, repeating, and memorizing. One of the key requirements for a virtual reality educational app is the quality of its content. VR content should be, on the one hand, valuable from the educational point of view and, on the other hand, properly built to create seamless and comfortable VR sessions for students. To make sure that the virtual reality content for your educational app is of the necessary quality, we recommend assigning its creation to a professional VR development company. The VR graphics, UI controls, and the tools that are used to build it are critical in the app performance. Contact us if you are looking to develop an educational VR-based app that both students and teachers will love.